A former top Hillary Clinton adviser complained in a series of tweets Sunday that supporters of the former Democratic presidential candidate are "unrepresented" in the national media. Peter Daou, a strategist and internet director for Clinton's failed presidential run in 2008, recently founded Verrit, an unabashedly pro-Clinton news source. Clinton herself gave the site a shoutout on Twitter. In response, Daou explained his decision to create the site, claiming that Clinton voters are "unrepresented" in the media. Daou's claim appears to contradict conventional wisdom and decades of polling that shows journalists are far more likely to vote for the Democratic candidate. 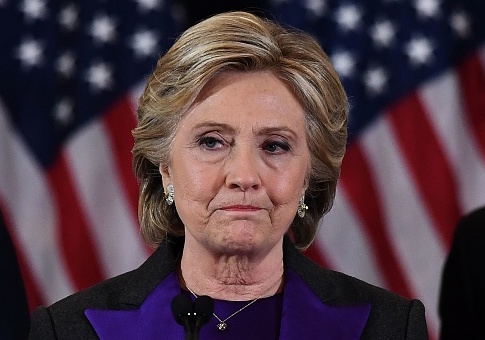 The Center for Public Integrity found in 2016 that of the more than $396,000 donated by journalists to a presidential campaign, 96 percent of it went to Clinton. A 2014 Indiana University study likewise found that only seven percent of journalists identify as Republicans, compared to 28% who identify as Democrats. Of the 100 largest newspapers in America, two—the Las Vegas Review-Journal and the Florida Times-Union—endorsed Donald Trump in 2016. Clinton received endorsements from 57 of the papers. This is not the first time that Daou has been outspoken on Twitter defending Clinton. Last month, he castigated Sen. Bernie Sanders (I., Vt.) and his supporters for being "detrimental to the Democratic Party," arguing that Sanders never "faced a tenth the scrutiny that Hillary did." This entry was posted in Politics and tagged Hillary Clinton, Media, Peter Daou. Bookmark the permalink.